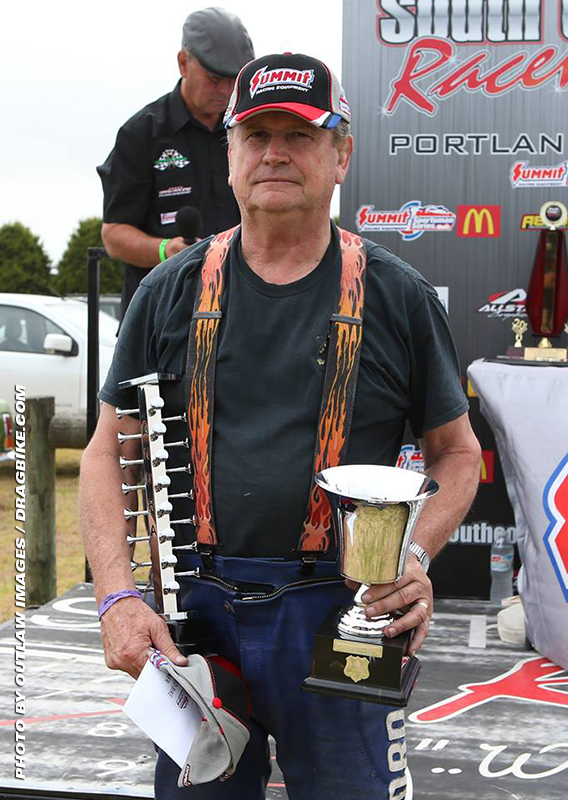 While all of the winners were proud to accept their accolades, two felt especially honored in receiving perpetual awards introduced at the event – the Phil Parker Memorial Trophy in Modified Bike and the Chris Stewart Memorial Trophy in Supercharged Outlaws. Each year, the winner of Supercharged Outlaws will also have their name inscribed on a special Chris Stewart memorial shield housed at the Raceway’s HQ. “This is very special, because at this meeting two years ago I won my very first ‘tree’ and it was presented to me by Phil Parker,” explained Crawford in accepting the Phil Parker Memorial Trophy. 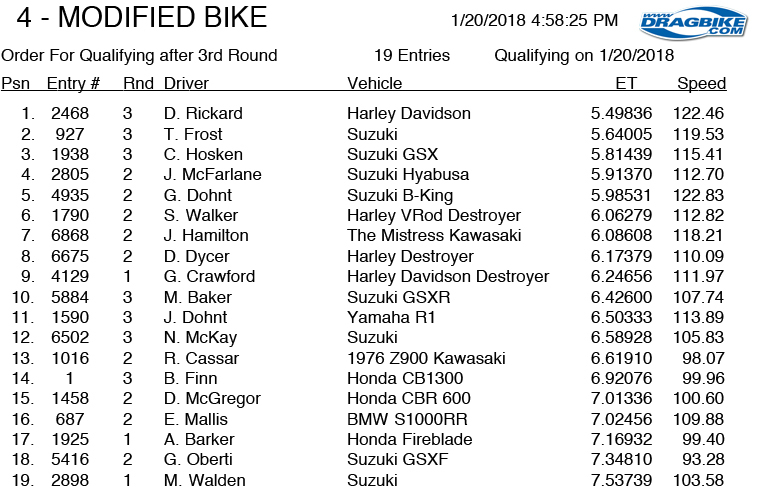 “The bike was running like a dog all weekend, I had no shift lights and had been guessing all my gear changes, but all the other guys were making mistakes – I got out of jail so many times! And then in that last run, I ran a 0.01 light and ran within a hundredth of my dial-in – they were never going to beat me on that. “With the way it went all weekend, I just couldn’t believe it in that last run against Jake Hamilton that we were unbeatable – that was real special and I think there was a bit of Phil Parker sitting on my shoulder there for that one, I am sure of that. 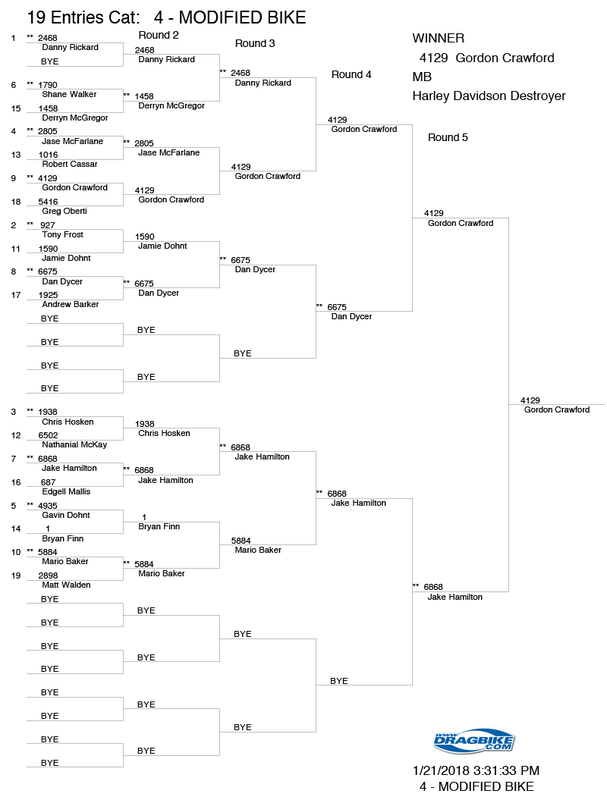 On his way to the win, Crawford defeated Greg Oberti, Jase MacFarlane, Danny Rickard, Dan Dycer and then Hamilton, while Hamilton faced off against Edgell Mallis, Chris Hosken, and Mario Baker before enjoying a bye run in the semi-finals. ANDRA thanks The South Coast Drag Racing Association as well as all of the volunteers and sponsors for an outstanding race track and a well-run event. 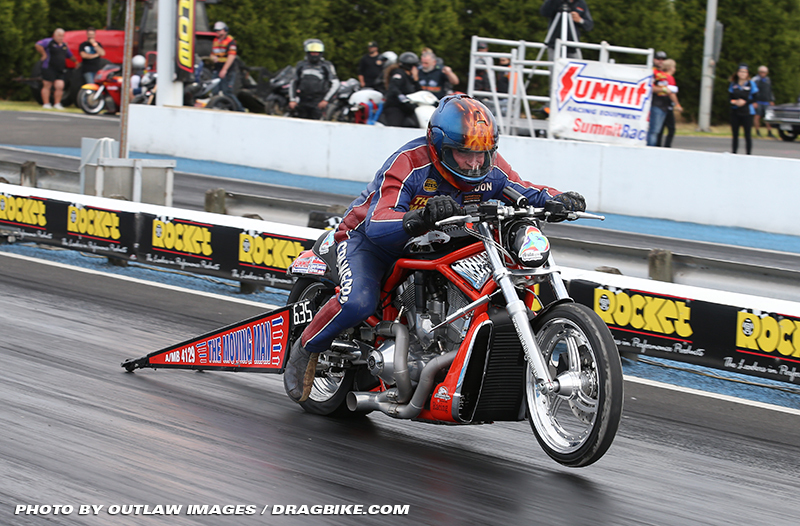 See Photo Galleries from the event at the ANDRA Facebook page – click here. Photos by Outlaw Images.